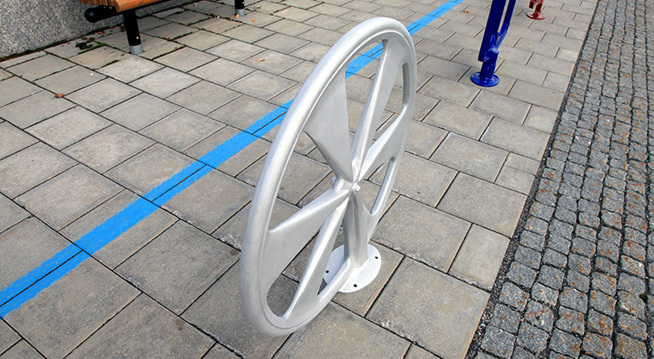 The Front Wheel can be installed upside down making it suitable for high traffic pedestrian areas. Cyclists can secure their bikes to the wheel through the spokes, which provide ample locking points at various heights. Since the wheel with fork is compact in its design, several can be installed in a row close to one another.